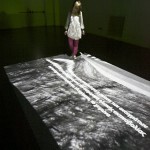 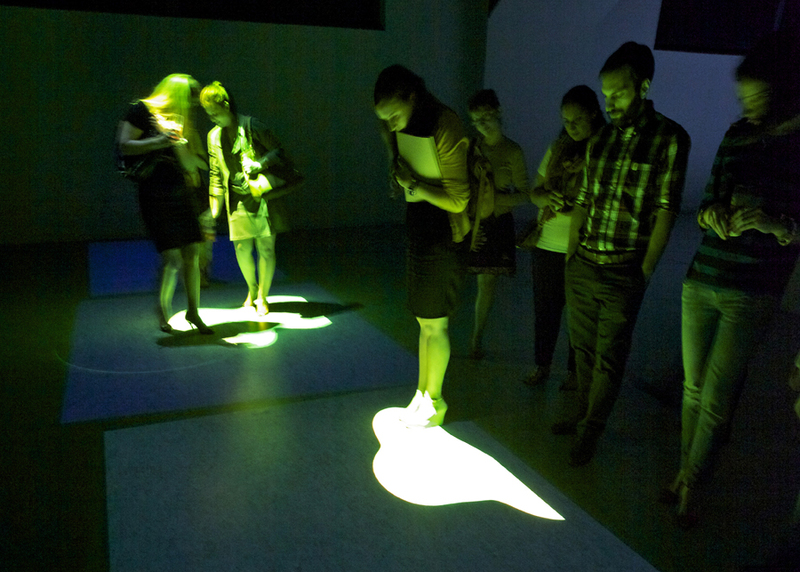 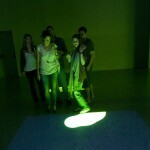 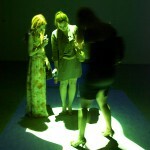 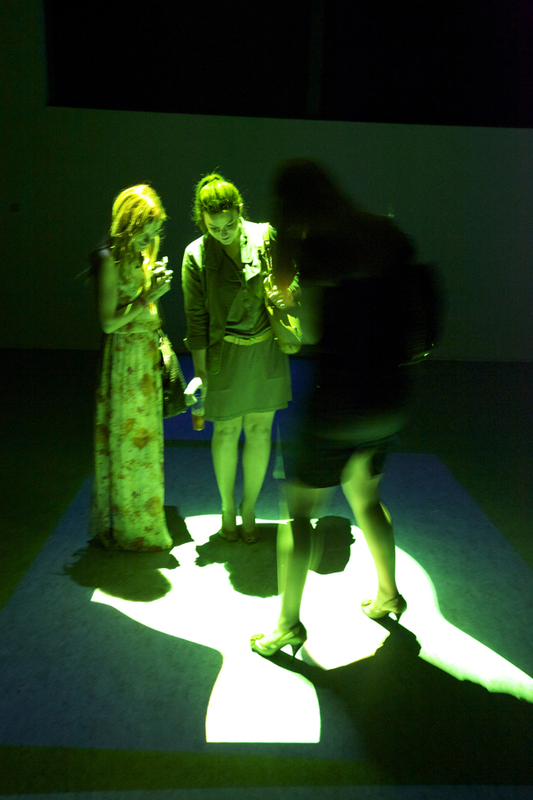 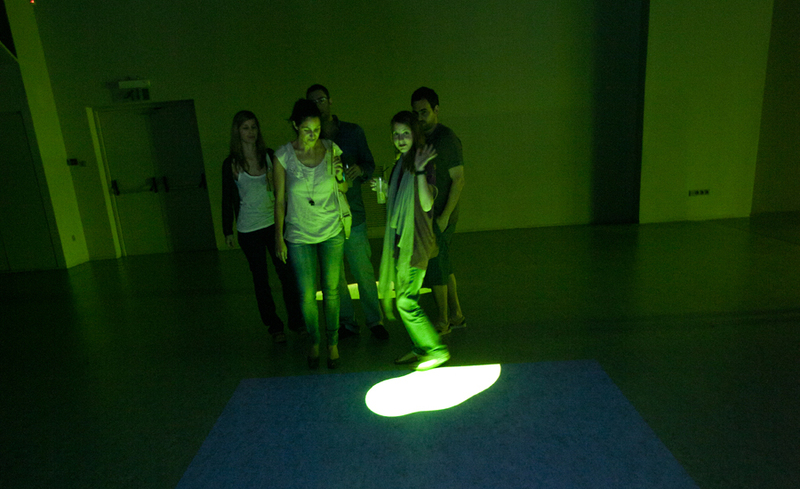 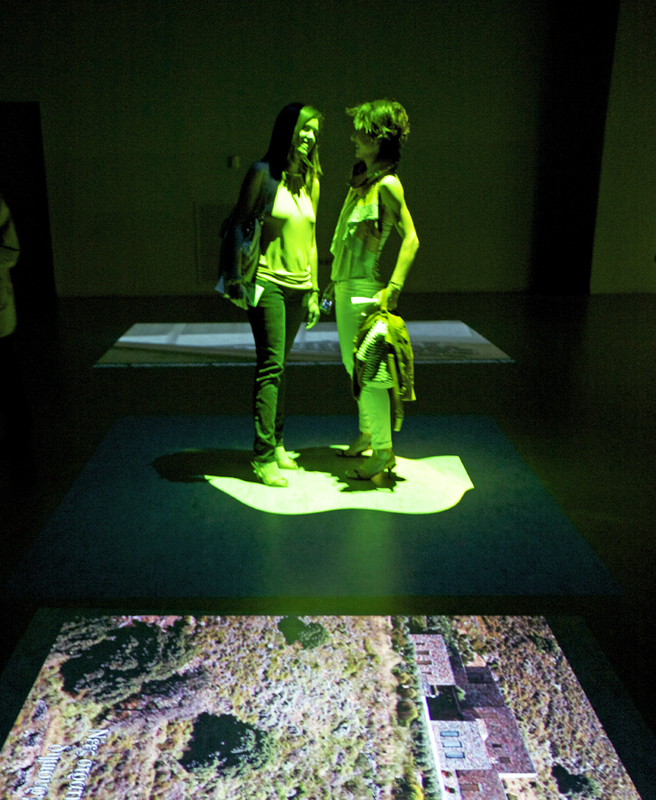 Ecosmosis is an interactive art environment that explores experimental ecospatial practices. 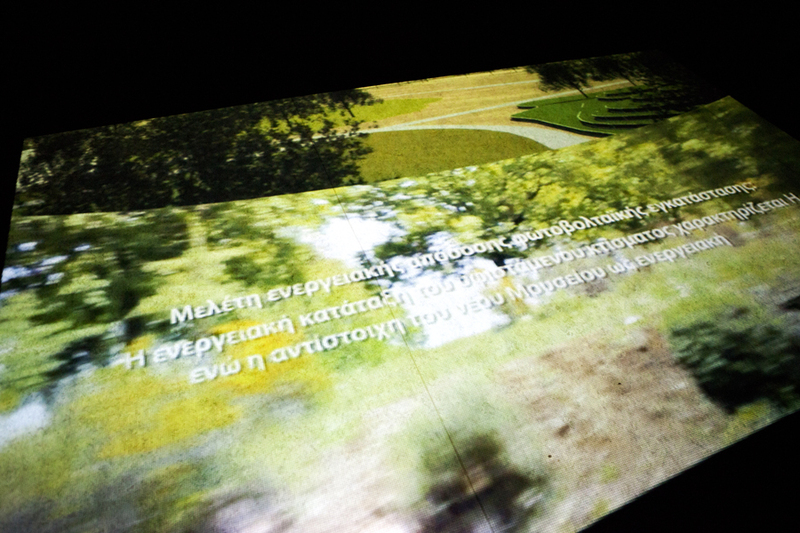 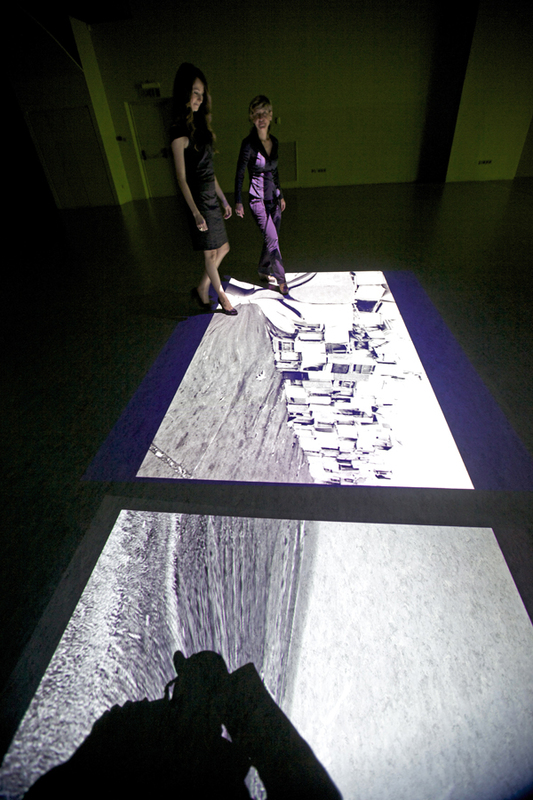 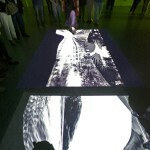 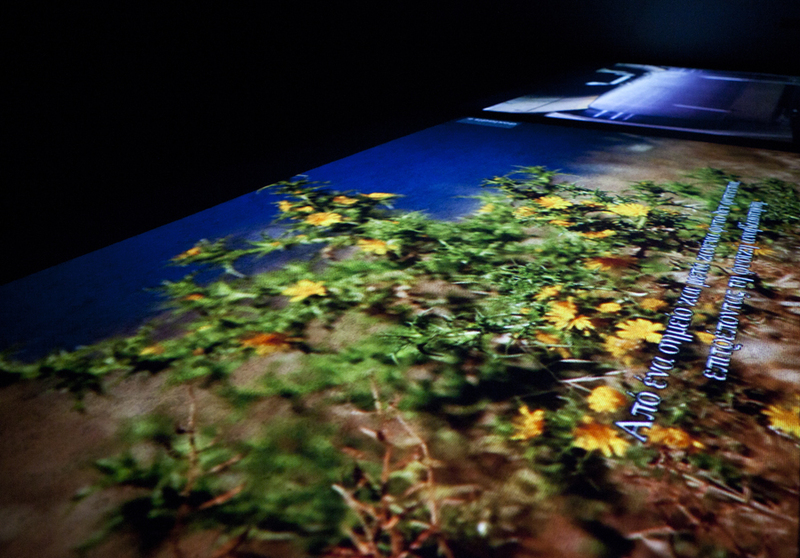 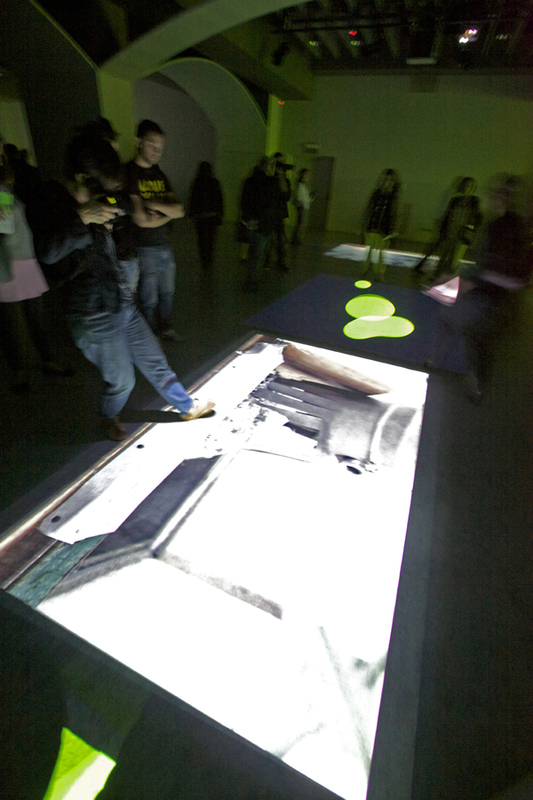 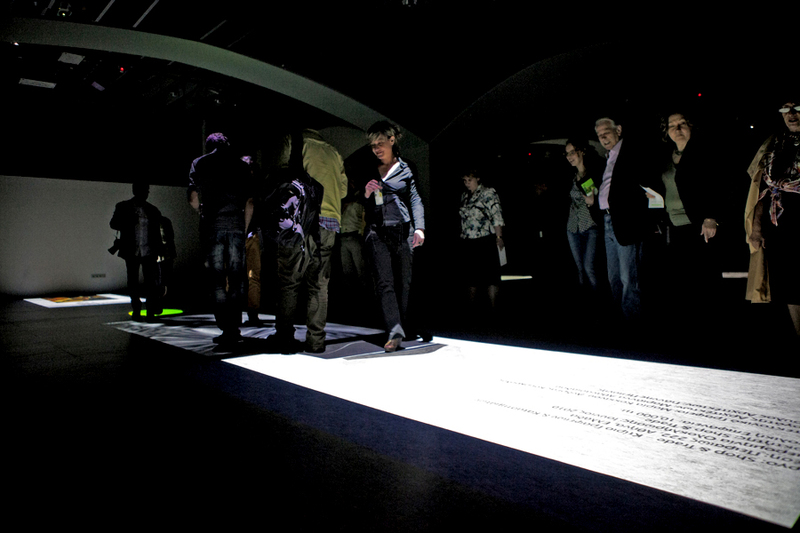 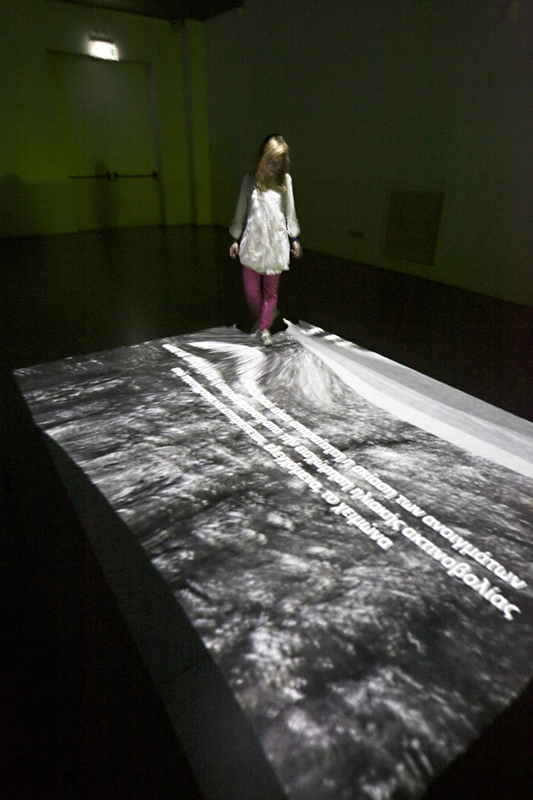 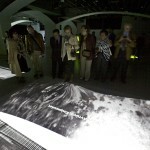 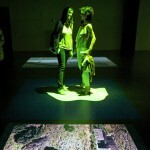 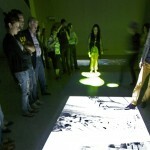 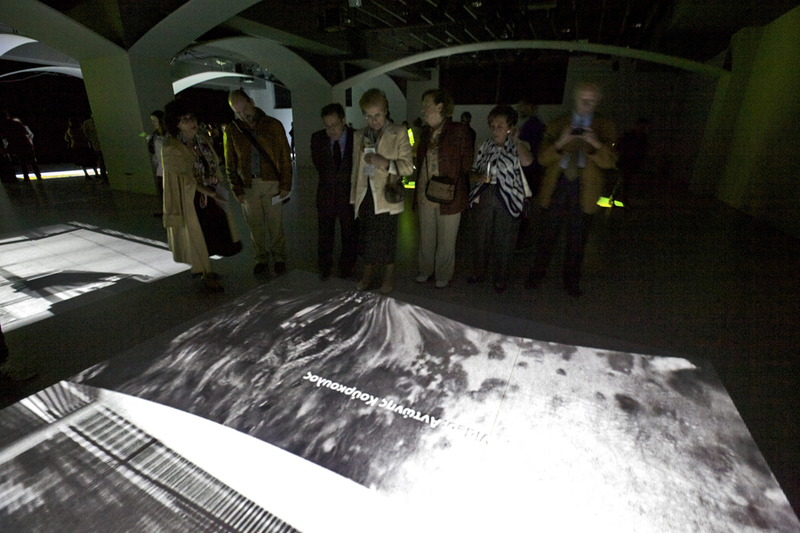 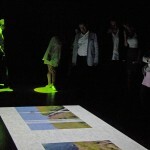 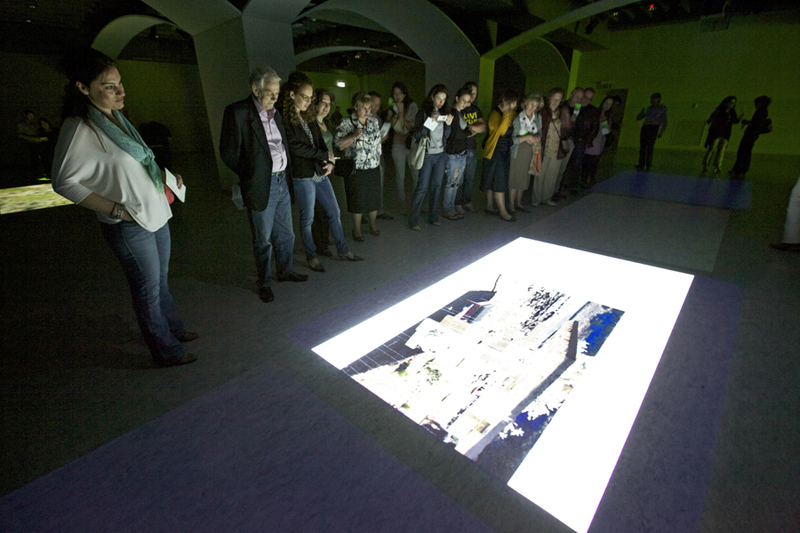 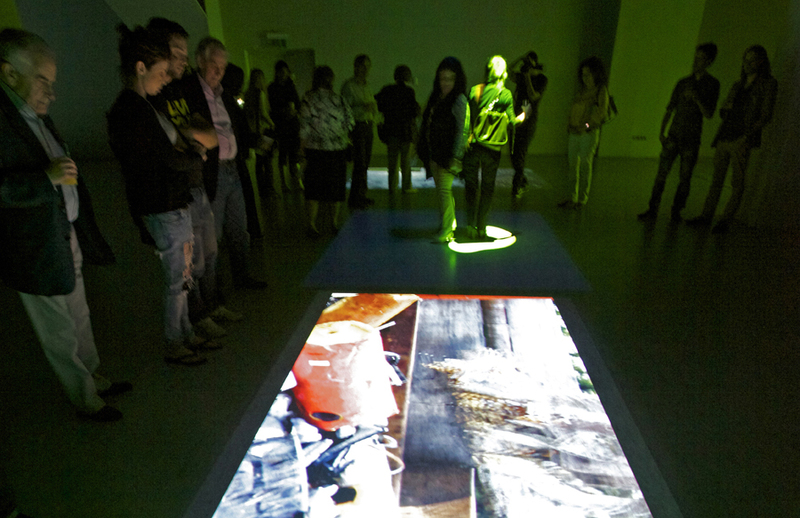 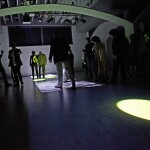 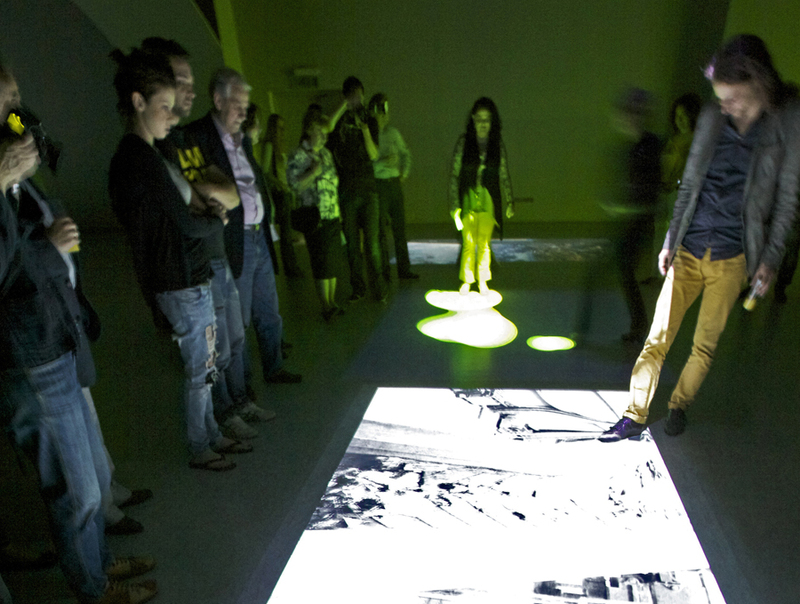 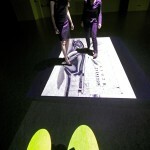 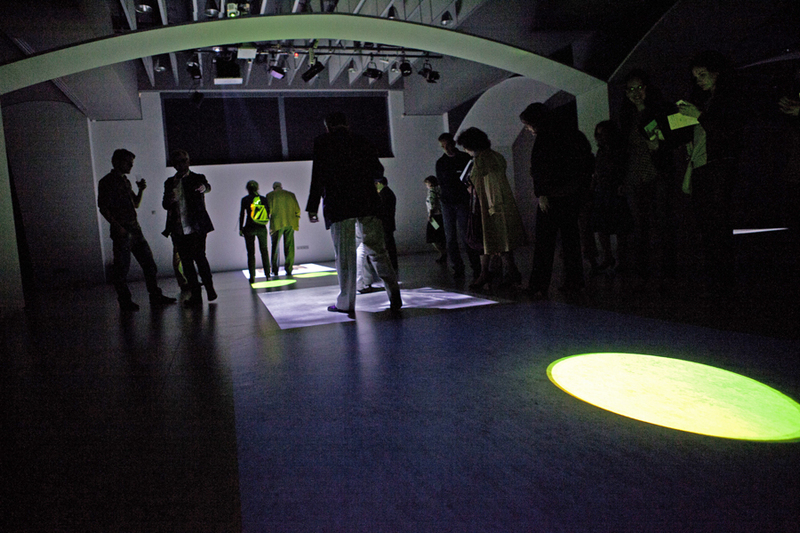 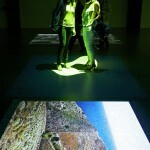 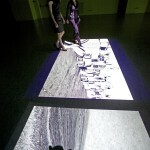 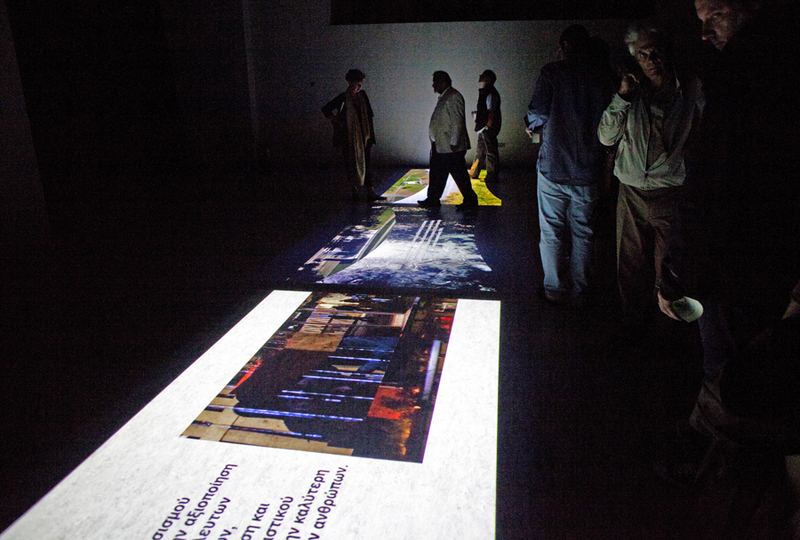 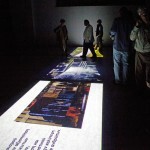 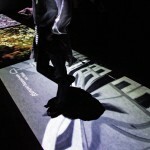 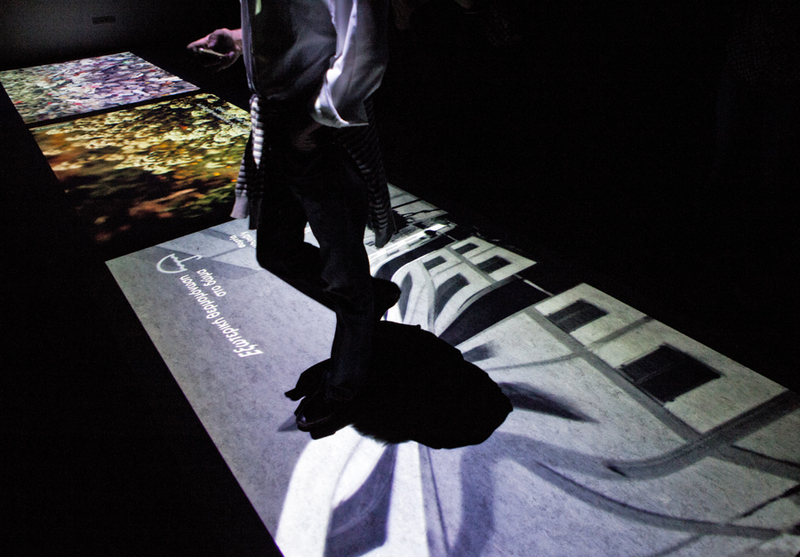 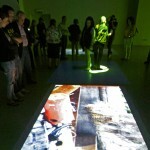 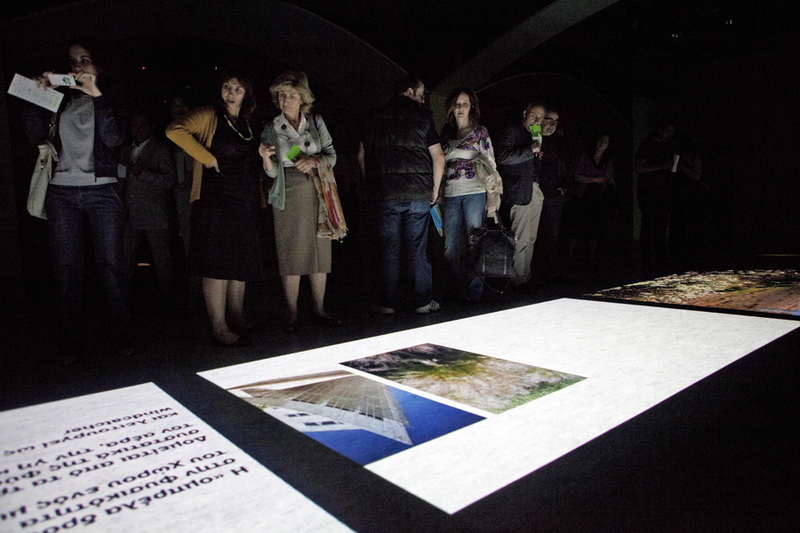 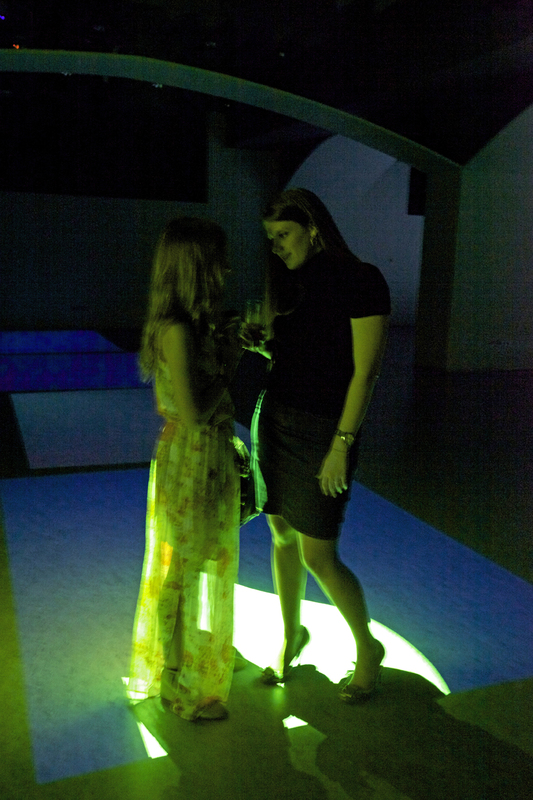 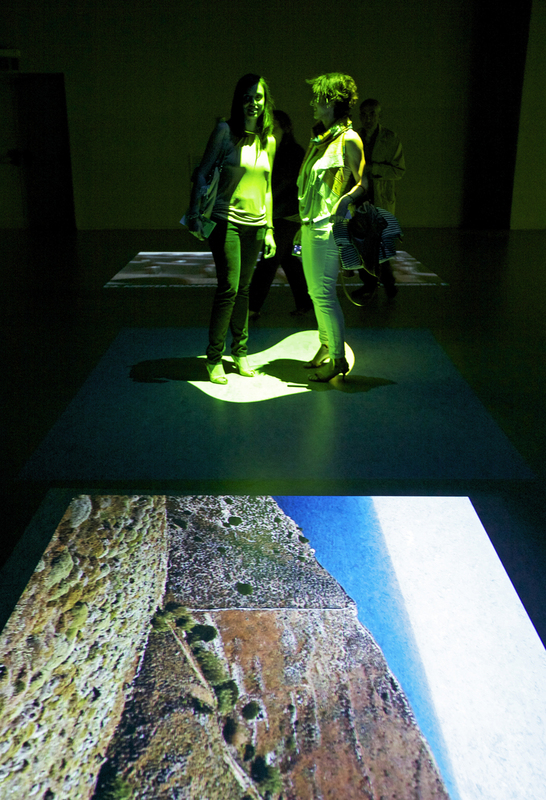 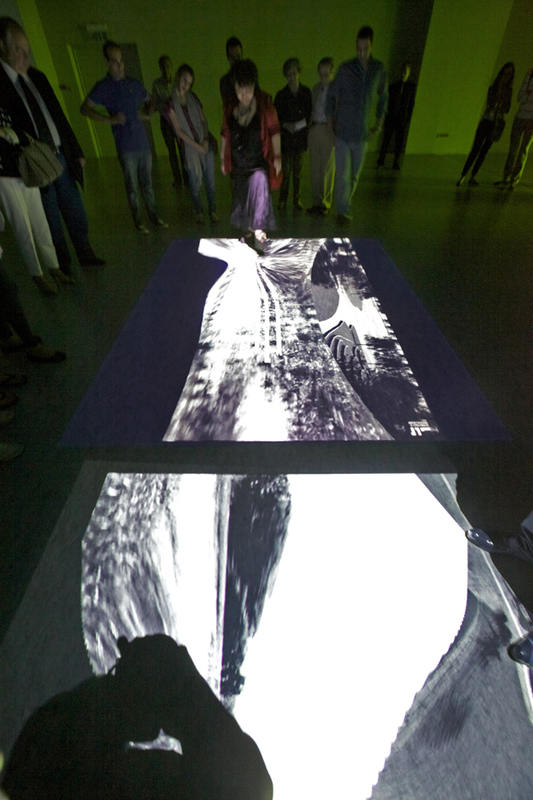 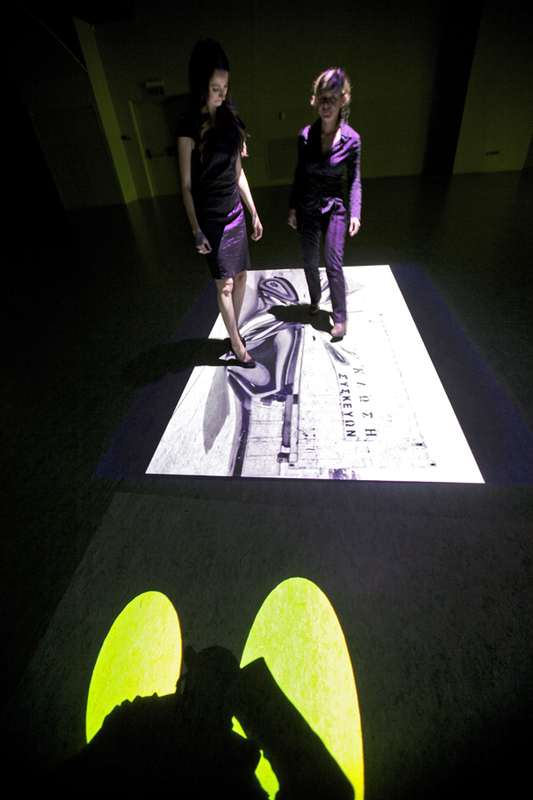 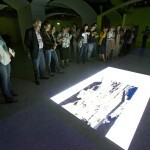 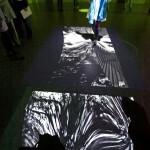 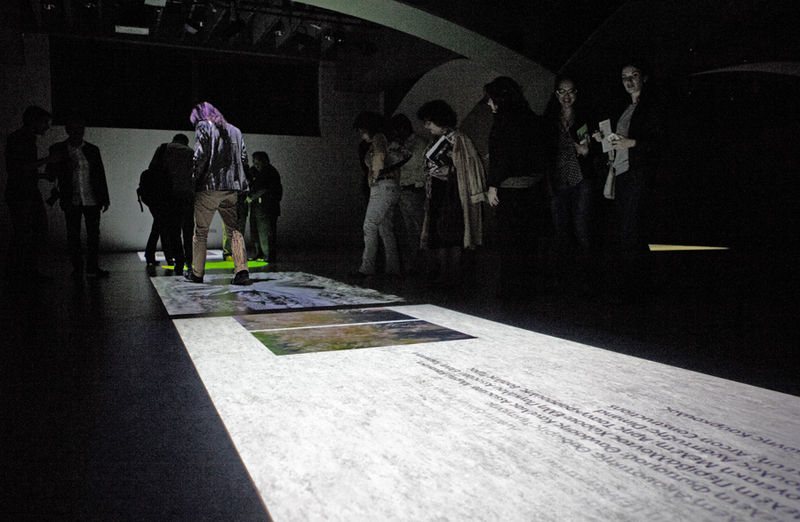 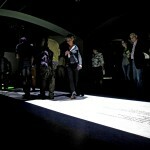 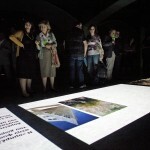 Twelve video-projections on floor interact with visitors on an audio and visual level presenting ecological design projects. 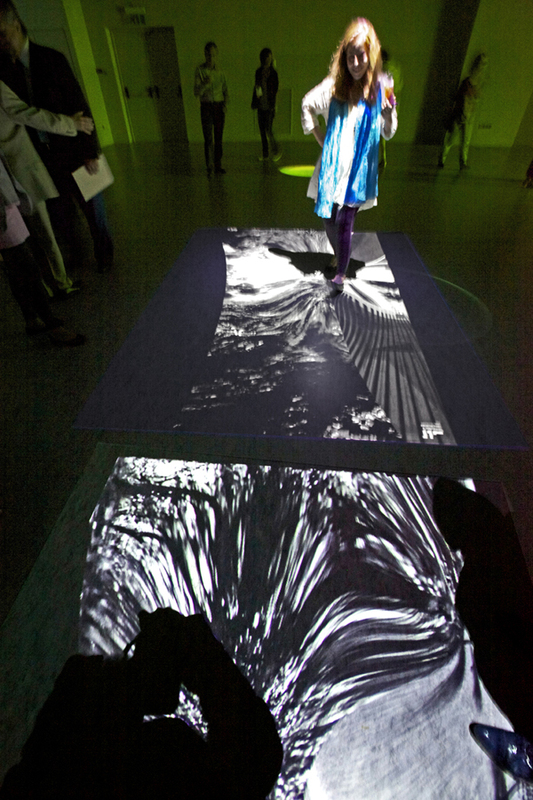 Within the 650 sqm exhibition space, the exhibition design creates a sequence of rectangular patterns acting as active and inactive zones of art and video projections, image and sound, that provide information for the visitors along with play and surprise. 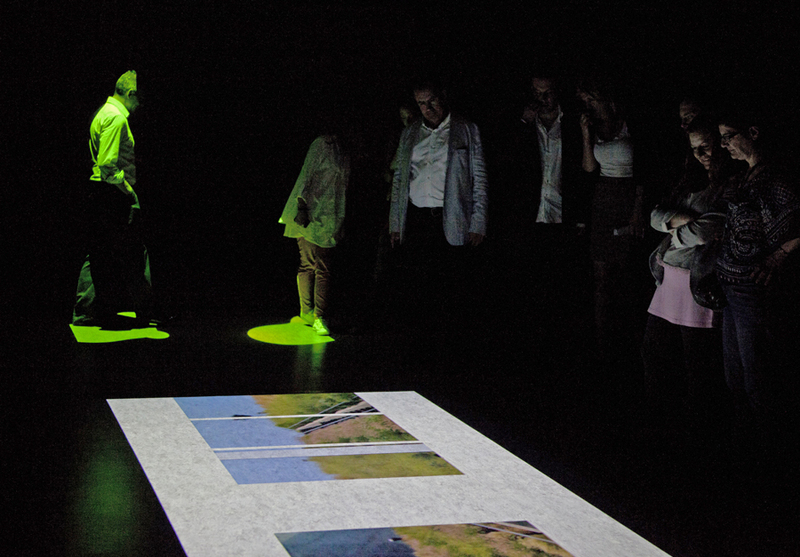 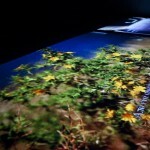 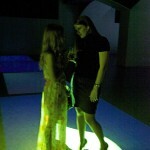 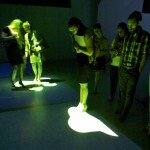 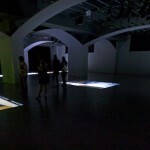 The exhibition’s interactive environment, Osmotic World, is created by digital media artist Maurice Benayoun. 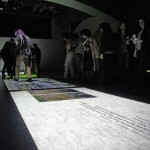 Its sound & visual interaction design implementation, by the interactive arts group THIS.PLAY a.k.a. 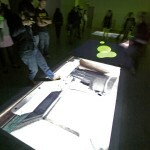 Antoni Rayzhekoff & Emanuel Andel. 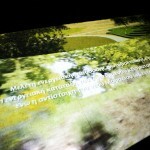 The videos are created by architecture and landscape practices, presenting their eco-spatial projects.